When you look at any study or statistic showing the amount of females and minorities (or lack thereof) behind the scenes in the film and TV industries, it’s easy to lose hope and feel like equality is a loooong way off. In a sense, yes it is, especially when the percentage of female directors, producers, executive producers, writers, cinematographers and editors comprise 18% of the top 250 grossing films in 2012, according to a report. But thanks to many new initiatives and programs being launched in the wake of such startling and disparaging facts that are becoming like a stain on the reputation of the Hollywood machine, we’re hopeful that women are creating new opportunities that seek to change the status quo. We’ve seen how people such as Reese Witherspoon, Lena Dunham and Rose Byrne have decided to start their own production companies in order to create the female-driven stories that some big studios still refuse to invest in. Meryl Streep launched a very exciting screenwriting initiative for women over 40, ya know, that age when women start to become “unf***able” according to Amy Schumer. Well it seems the opportunities don’t stop there because not only is another notable woman wanting to lend a helping hand to up-and-comers, but so is a major TV network. 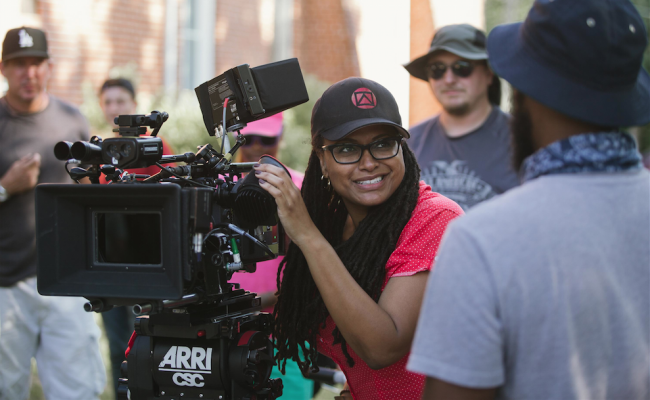 Ava Duvernay, best known as the director of ‘Selma’ which enabled her to become the first black woman to be nominated for the Best Director award, knows all too well the power of industry initiatives, as she essentially says she is living proof they work. Before she was launched into the Hollywood industry spotlight during the 2015 awards season, she was a film publicist who eventually worked her way to becoming a director. In 2011 she started an organization called the African American Film Festival Releasing Movement designed to give black independent filmmakers distribution to an variety of platforms. 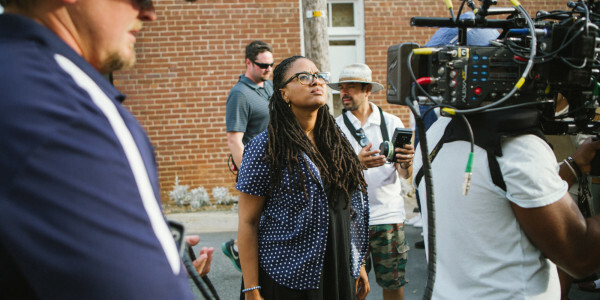 She wanted the underrepresented filmmakers to have a chance to get their work to the people that matter the most: the audience. Initially Ava started the organization with her own money, then in 2014 they launched a member program where people could donate to fund this important initiative. They were aiming to get 500 members, but got 750. In 2015 they have their sights set on 1000 members, but once again may exceed that. “I’m a product of [this initiative]. If I did not have my films distributed through AFFRM and Array, I would have never had a chance to make ‘Selma,’ or do any of the things that I’m doing now. It’s so important to give these filmmakers a leg up, to give them an opportunity to find an audience,” she told Indiewire. One of the big reasons she is doing a huge push for this program is because of the types of discussions she was part of during awards season. “There were a lot of people trying to talk to me at Oscar time about diversity and inclusion and this is a way you can actually help further that. If they really care about it now they can do something about it,” she said. Essentially, AFFRM is a “put your money where your mouth is” type of situation for Hollywood. And with the rumor Marvel studios are courting her to direct one of their slated blockbusters such as ‘Captain Marvel’ or ‘Black Panther’ in the next few years, Ava is living proof that initiatives like these work and are needed. If the rumors are true, Ava will become the first woman to direct a Marvel movie, and first African-American director on the popular blockbusters based on the comic book franchise. Go girl! 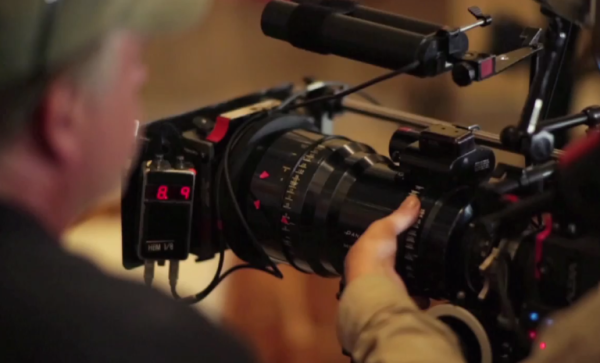 The second initiative that is exciting to read about is Lifetime network’s Broad Focus. They are a uniquely positioned network to launch something like this and absolutely SHOULD be leading the pack! They not only offer a tonne of programming for women, but boast a huge presence of women behind the scenes as well. “While last year only 7% of feature films were directed by women, 20% of Lifetime’s movie directors were female, and 43% of its writers, 35% of its executive producers and 29% of its producers were women, far exceeding the industry averages of 11%, 19% and 23%, respectively,” said a press release about the initiative. Their aim is to identify and develop entertainment’s best and up-and-coming creative talent with a specific lens focused on developing content dedicated to the female experience. The initiative’s mission is to encourage and cultivate women’s talent in media, scout content leaders who are creating the best female-focused stories for television and advocate and raise awareness about the need for more women in influential content making roles throughout the media landscape. “There is a large, untapped well of female talent out there, and we want to remain first in line to that source of creativity,” said Nancy Dubuc, the president and CEO of Lifetime parent A+E Networks. They teamed up with Geena Davis’ Bentonville Film Festival and will not only showcase one of the the winning films on the network, but will also choose a winner from the script-writing contest and work with them on developing it to production. They have a slew of celebrities already occupying the directors seat on many of their productions, including Jennifer Aniston, Eva Longoria and Angela Bassett. If these are the kind of initiatives being launched in film and TV we are incredibly hopeful that the culture surrounding the barriers that women and minorities will start to shift. Because change truly only happens in our culture, no matter what laws and standards are put in place. If you are an up-and-coming filmmaker and get frustrated on a regular basis about the difficulties you face, please do not give up! There is an opportunity out there for you as you continue to push and work hard for it.